ADOPTION! Another lucky kitty finds a loving home with one of our repeat adopters! Mya, a 7-year-old Norwegian Forest mix, caught the eye of Anne while she was visiting our kitties at the Lake Zurich Petco, and instantly fell in love. The whole family was so excited to bring her home! 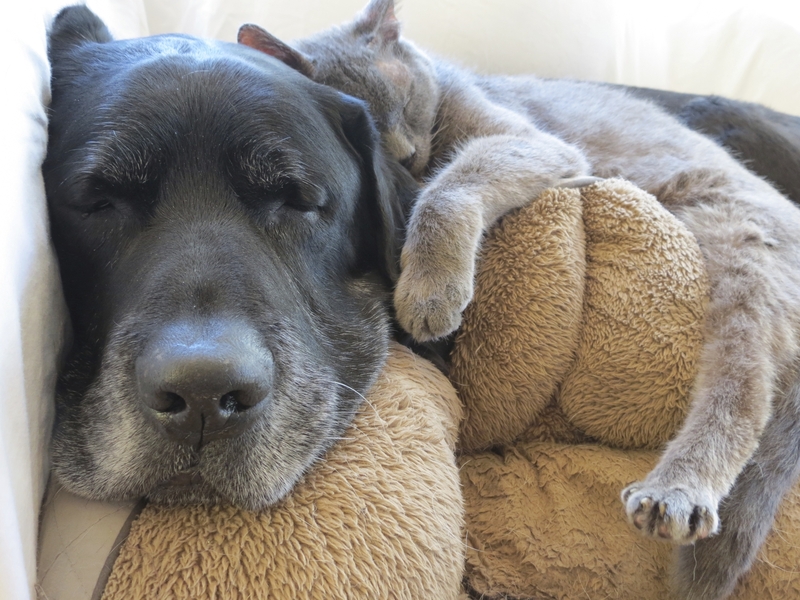 Mya joins senior kitty Gray Gray (aka Taz), adopted four years ago from Young at Heart, a sweet dog, and several other loved critters. Mya is one lucky kitty to have found such a wonderful family to share her life with. Congrats to Mya and Anne & family! We wish you many happy years together!